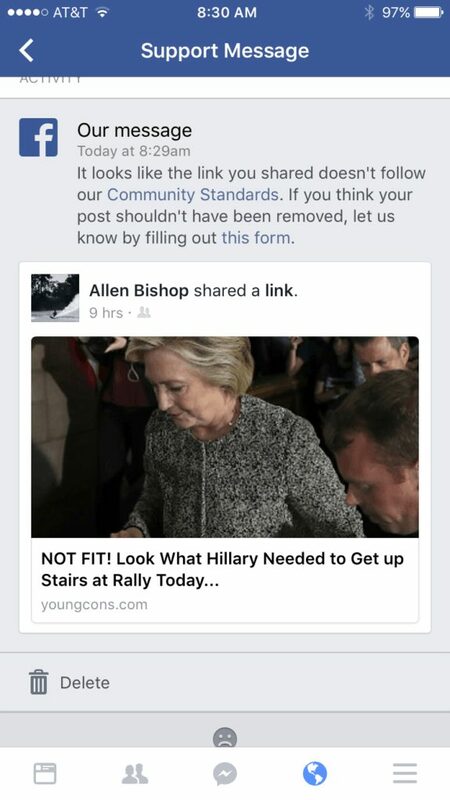 We took a look at the article, and found nothing that violated the social media site’s standards. It appears she was campaigning inside a wine cellar given how small the room looks. That wasn’t the worst part, though. Grandma couldn’t even make it up the stairs herself. Obviously we’ve seen her need help before, but with the fainting incident on 9/11 you’d think she’d avoid these kind of situations. Keep in mind that the site increasingly known as the world’s most dangerous censor is now helping to decide what questions will be asked at the presidential debates starting this month. And we’re supposed to trust that they’ll be objective? Really? 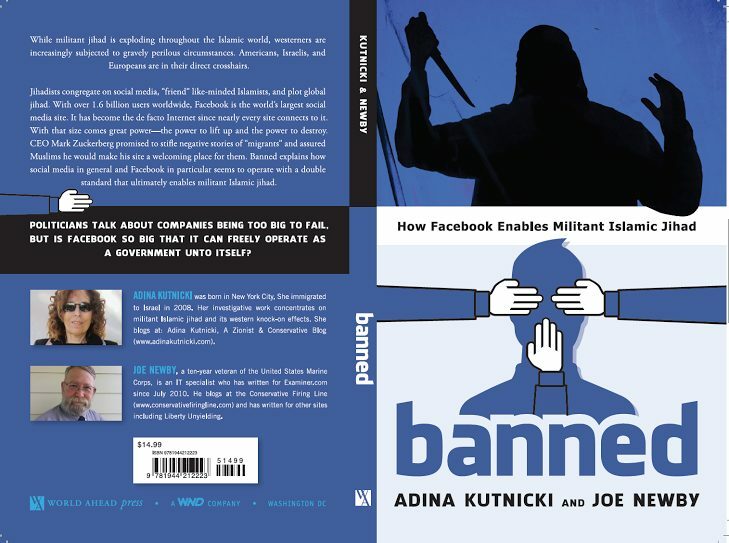 Incidents like this, by the way, are the reason Adina Kutnicki, an invastigative journalist based in Israel, and I wrote “Banned: How Facebook enables militant Islamic jihad.” That book, endorsed by Pamela Geller, is now available and can be purchased here and here.